Here is the newest update from Toyark sponsor TheToySource. They stopped by with their latest update. Checkout the main news below. You can see even more in the discussion thread. TheToySource News! Dragon Ball, Saint Seiya, Super Robot Chogokin, Star Wars & More! - Saint Cloth Myth EX - Evil God Loki - "Saint Seiya - Soul of Gold"
- Super Robot Chogokin - Mazinemperor G - "Super Robot Wars V"
Now avaliable for preorder at the Toy Source: S.H. Figuarts - Dragon Ball - XenoVerse Edition - Trunks! Hurry and preorder yours today! 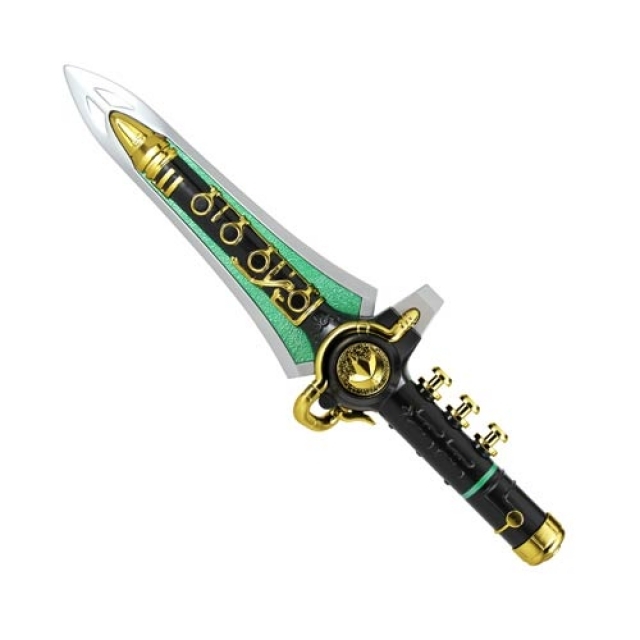 Saint Cloth Myth EX - Evil God Loki - "Saint Seiya - Soul of Gold"
Super Robot Chogokin - Mazinemperor G - "Super Robot Wars V"
Add this Mighty Morphin Power Rangers - Legacy Green Dragonzord! Preorder to your cart today! There's no better weapon for slaying! Don't miss out on these amazing Luke Skywalker and Darth Vader lightsabers! Order your Star Wars The Force Awakens Black Series Force FX Deluxe Lightsaber today! Wanna Play? Preorder Kotobukiya - Child's Play - Miss Chucky Bishoujo Statue today! Now up for Preorder - Extreme Sets - Pop-Up Diorama - Control Center Set! Preorder yours today! Takara's highly articulated and detailed MP-34 brings a more modern Beast Wars version of the Cheetor from the Beast Wars tv series to life! Celebrate the 20th Anniversary of the Beast Series and preorder MP-34 Cheetor at TheToySource. The latest release from Fansproject in their warbot series is none other than Trianix Alpha! Preorder yours today! Now available for Preorder at TheToySource: PS-12 Saltus! Stands 9.25" tall in robot mode, with die-cast parts, rubber tires, & more! Preorder yours today! Mastermind Creations - R-17 - Carnifex and R-15 - Jeagertron Now Instock at TheToySource! Add both to your collection! Now instock and ready to be added to your collection is KFC - EAVI METAL Phase 8A: Jungle Warrior Simba. Get yours here today! More Iron Factory - IF-EX06-10 Set of 5 Ashura Knights instock at TheToySource. Order yours today! Planet X - PX-08 Asclepius instock! Add to your collection today! Now Instock - War in Pocket - DX9-01-02-03 Campaigners Set of 3! Order yours now! Restock Alert! Order your Make Toys Striker Manus at TheToySource Today! Now Instock - X-Transbots MM-IV Ollie - Reissue! Order yours today! Now Instock: Generation Toy - GT-04- J4ZZ! Add J4ZZ to your collection today! Become a fan of TheToySource today! Full Thread: TheToySource News! Dragon Ball, Saint Seiya, Super Robot Chogokin, Star Wars & More!